Here we go again. Another year, another birthday. I think this is the first year I haven’t been really excited about my birthday. And I can say for certain, it’s the first year I don’t have any plans. What the heck is going on with me? Have you ever felt this way about your birthday? 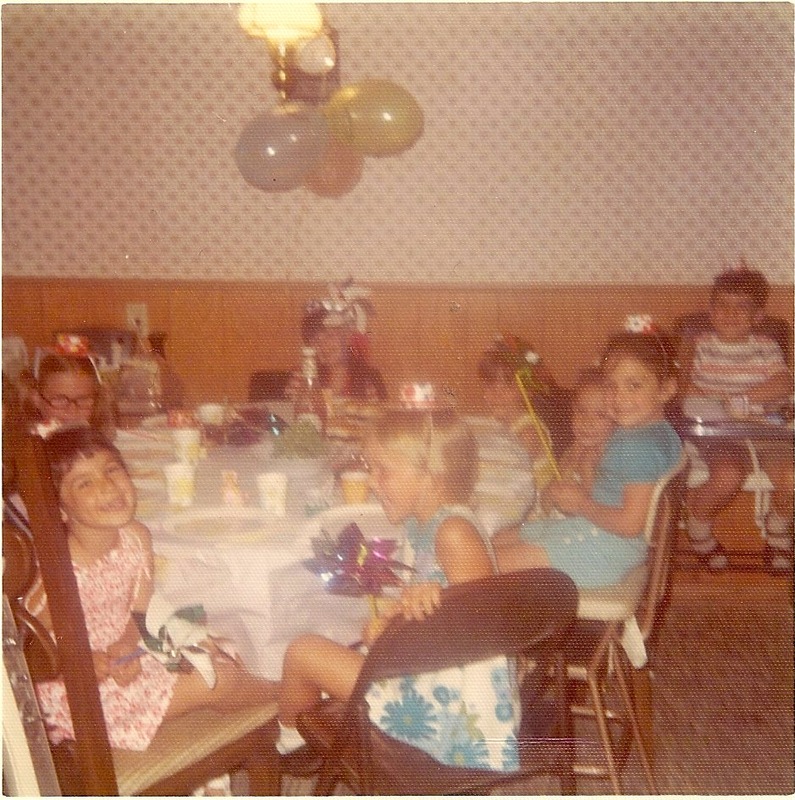 So I racked my brain, trying to remember how I have celebrated some of my last 40-plus birthdays. Good thing my parents took pictures. 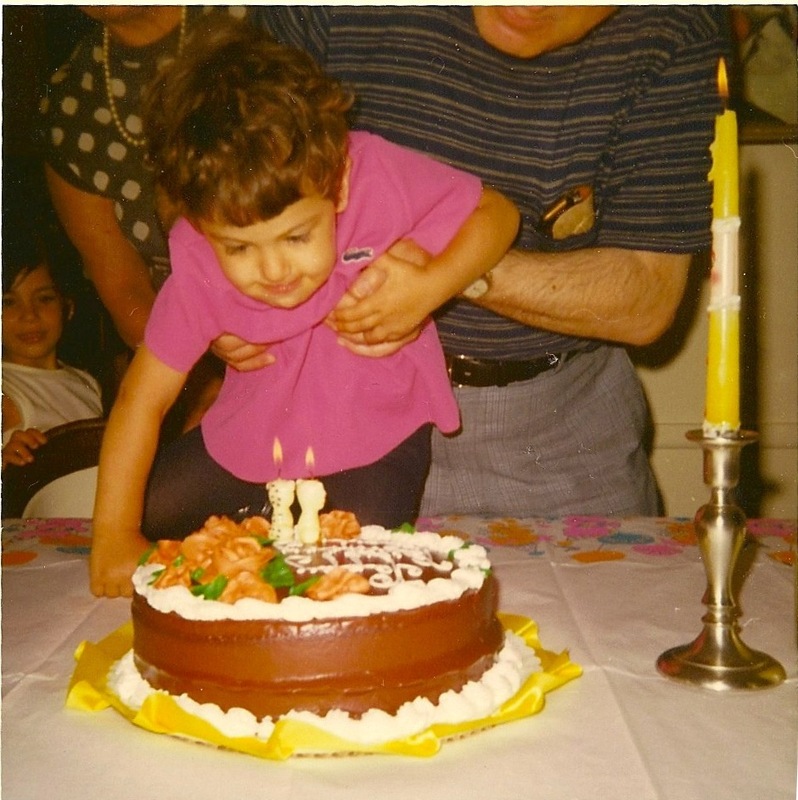 Since becoming an adult, one of my most memorable birthdays was in 1994. This one was planned by dear hubby just months into our relationship, before we were married. 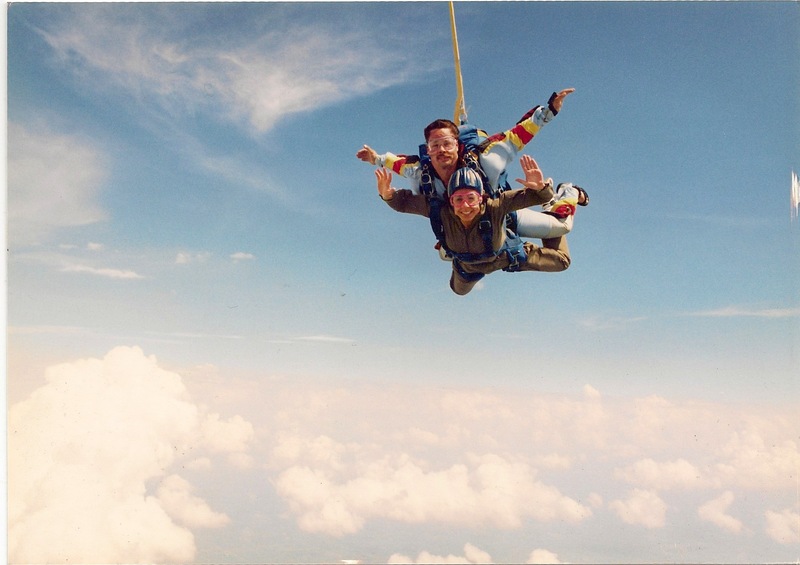 Yep, he took me skydiving. That’s me in the photo with my instructor. After that thrilling adventure, my honey took me straight to his parents house for a barbecue with friends. Next thing you know, the whole party is gathered around the TV watching this. Do you remember where you were for the OJ chase? I have had plenty of other interesting birthdays. They’ve usually included lots of drinking and dancing, except for the two birthdays when I was pregnant. Mom took me on golf trips to celebrate 30 and 31. So what are my options this year? Just this morning, my parents invited our family to go out to dinner. I’m on the fence. The kids don’t usually love going out to eat and I’m not sure if I want to leave them at home. I think they just like the cake part of mom’s birthday and maybe blowing out the candles for me. Option B: Take the selfish route. There’s still time. Here’s where the title of the blog comes in. What would your ultimate birthday be? Here’s my realistic version and dream version. I can’t believe I just shared that. 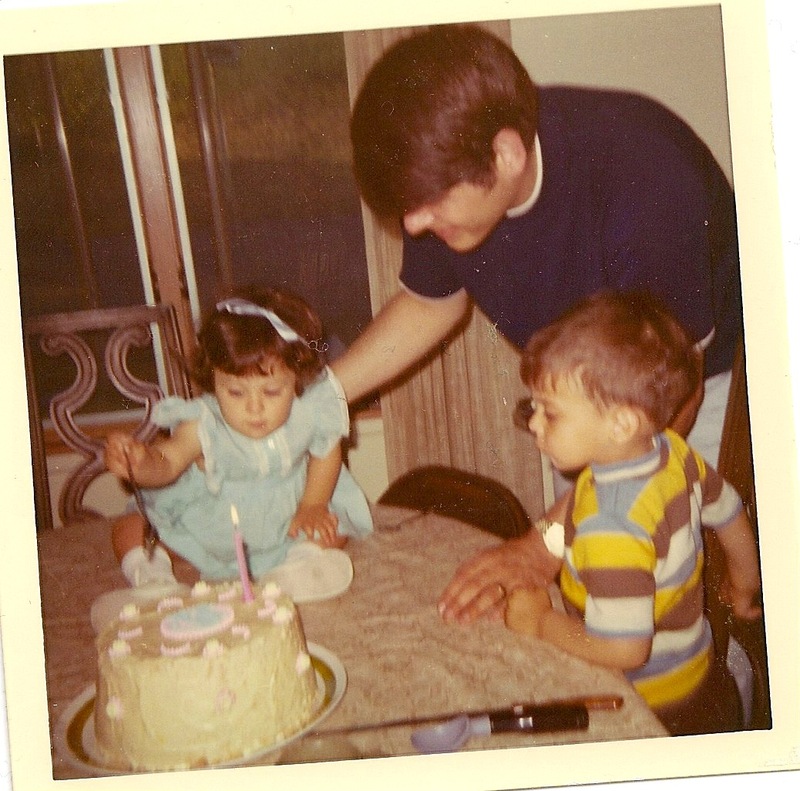 Anyhow, the best birthday gift of all would be for you to share your most memorable birthday stories. Or if you could design your dream birthday, please tell me, what would you do? No matter what I end up doing for my birthday this year, I guess what I am looking forward to the most is the 364 days of life’s ups and downs leading up to the next one. What about you? ← To run a marathon or not! That is the question. Thank you so much Auntie Andrea! Look forward to seeing you soon. Miss you. manufacturers to label genetically engineered foods, doesn’t like the idea. how often you want the colors to match perfectly.